Through many years experience, over countless school trips, MacPhails Coaches and schools have identified areas where teachers and escorts can maintain discipline, making the coach journey safe and enjoyable for everyone. Choosing your coach provider can be a difficult process, and is never simply a decision on price alone. Often competitors will offer rates for “executive” vehicles, while delivering something to the contrary. 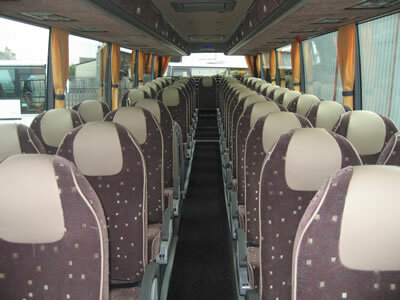 Since all coach seats are numbered, we are able to use that facility to allocate each pupil with a seat, which then becomes their responsibility for the duration of the trip. As in the classroom it provides a good way of seperating pupils, and we can provide seating plans for you to complete at your leisure. It also helps to reduce the rare incidents of vandalism, however in our experience we have found pupils respect a modern, comfortable coach. To maintain pupil discipline from the front seats is almost impossible. When the supervising group agrees to a rota system, ensuring one of them is always seated at all emergency exits, generally in the middle or rear of the coach, we find most journeys are incident free. MacPhails would advise teachers to take special care to explain to the pupils that seatbelts are to be worn at all times, and as such all our coaches are fitted with seatbelts. 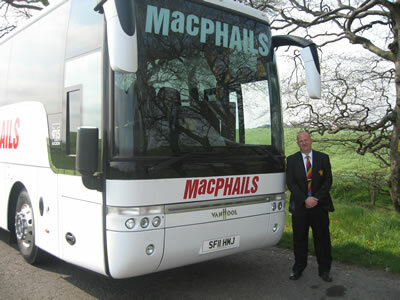 We at MacPhails value our clients, indeed school pupils are held in the highest regard. The privilege of ensuring your pupils are safely transported form your school to any venue and returned, is a role we invest a lot of time and consideration to. Our staff too are a great source of pride to the company, and through our continued support of driver training, provision of uniforms and our quality office support we always aim to deliver service. All routes are fully prepared in advance of a journey and all driver and vehicle records are continually observed and maintained to ensure we are operating safely and to the full satisfaction of the authorities.